Our guest blogger, McKenzie, is back – this time she also ran her first half marathon! Sojourn #8 This weekend was a time to slow down a bit and spend it in my spring semester ‘home town’ of Florence, with a day trip to Cinque Terre. Now when I say slow down, that is really referencing my weekend travel excursions to the fabulous cities throughout Europe. On this particular weekend I was signed up to run the 32nd Annual Firenze Half Marathon on Sunday, April 12! We set out for STREEAT, the food truck festival Friday evening. It was a beautiful night – Florence is just starting to see spring weather so it was perfect. Upon arrival, we were greeted by music and hungry locals and tourists waiting to try the smorgasbord of food the festival had to offer. The first food truck we saw was Phil’s American Barbecue – I knew right then and there that would be my choice. But to be fair, we decided to check out the other food trucks at the festival before making our final decision. 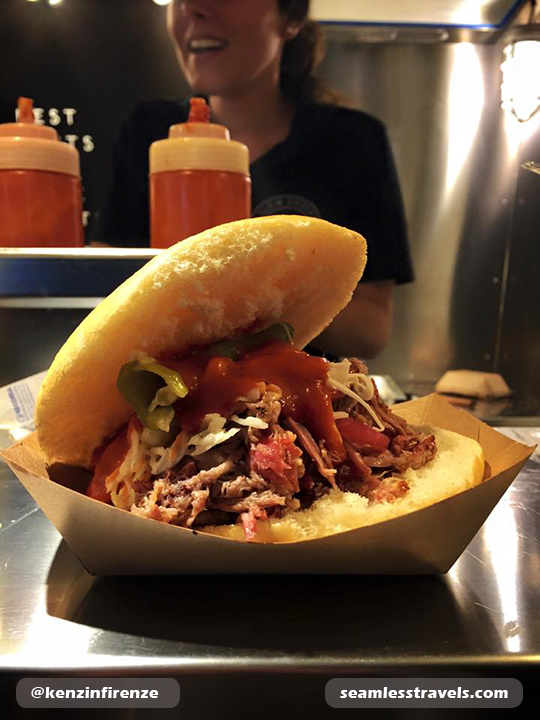 After making the rounds, we all decided a good ol’ fashioned American BBQ sandwich would be the winner. And let me tell you, it was a winner indeed! Man-oh-man have I missed American food! Don’t get me wrong, I have loved every minute of the “pizza, pasta, and gelato” diet, but it’s nice to have a little taste of home every now and then. Following the classic pulled pork sandwich, we ended the food-filled night with a common Italian dessert – waffles topped with Nutella. By now, if they aren’t already, I’m sure most of your mouths are watering (if not, I’m slightly concerned). We were up early Saturday morning because we were spending the day in Cinque Terre. I had been told by many people that if there was one place in Italy I was to travel to, it most definitely needed to be Cinque Terre. And since I love the beach and hiking, I was absolutely determined to go! 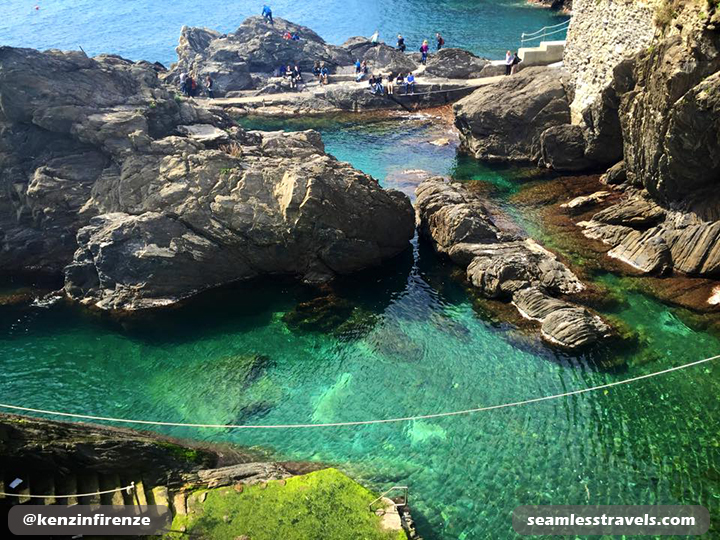 Cinque Terre is made up of five small towns, of which you can hike from one to the next. We arrived around noon to the first town, only to discover the designated hiking path to the next town was closed. This could only mean one thing – we were going to create our own hiking trail. Fast forward three hours later, after literally hiking straight up the mountain then straight back down, we made it to the second city. 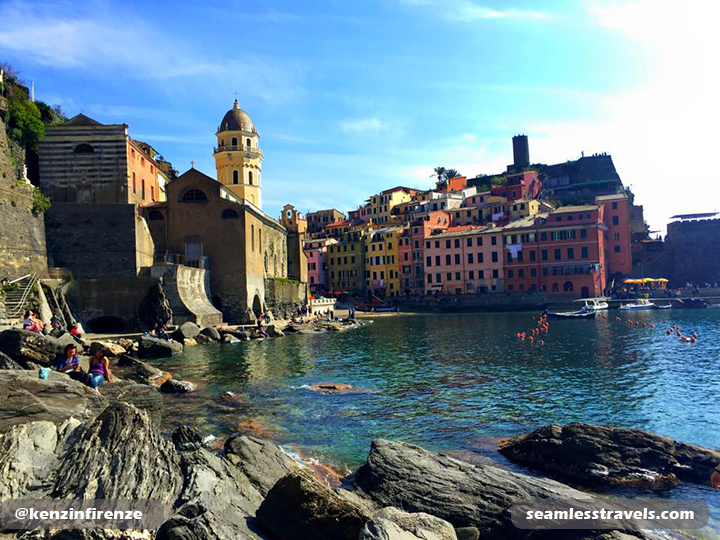 From there, we took the train to the fourth town, Vernazza, where we hung out for the remainder of the day. Vernazza has a small beach with numerous lounging rocks, so I grabbed a Coke and made myself comfortable, soaking up the sun and the amazing view. Come Sunday morning, I was anxious, excited, and nervous for my first ever half marathon. This was the day I had been waiting for all semester! The race would begin near Santa Croce Square and would continue throughout the entire city of Florence. There were people from all over Italy, other parts of Europe, and even some of us from the United States. Throughout the entire race I continued to repeat in my mind the bible verse from Psalm 46:5 – “For God is within her, she will not fail.” Well, not only did God help me finish that race, but he also helped me finish in under my goal of two hours! I’m excited to say I finished my first half marathon in one hour and 46 minutes, and placed 90th out of 444 people in my division!